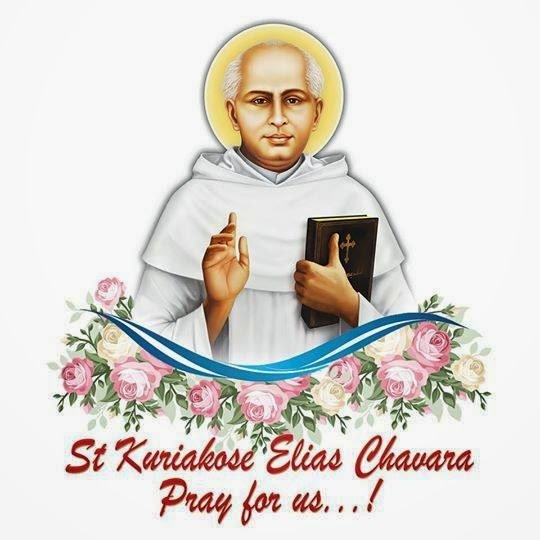 The Catholic Church has decided to elevate Fr Kuriakose Elias Chavara, the co-founder of the Carmalites of Mary Immaculate (CMI) and Sister Euphrasia Eluvathinkal of the Congregation of Mother of Carmel (CMC) to sainthood. This is after Vatican recognised that miracles happened through their intercession. 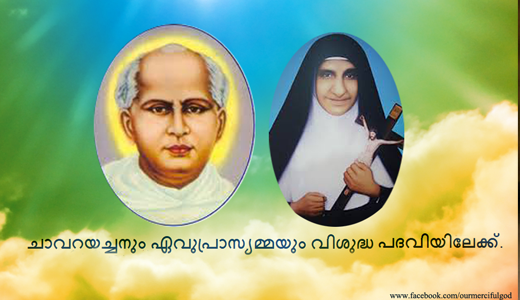 Blessed Father Kuriakose Elias Chavara and Mother Euphrasia Eluvathingal will be conferred sainthood on November 23 2014, Pope Francis announced in Vatican . 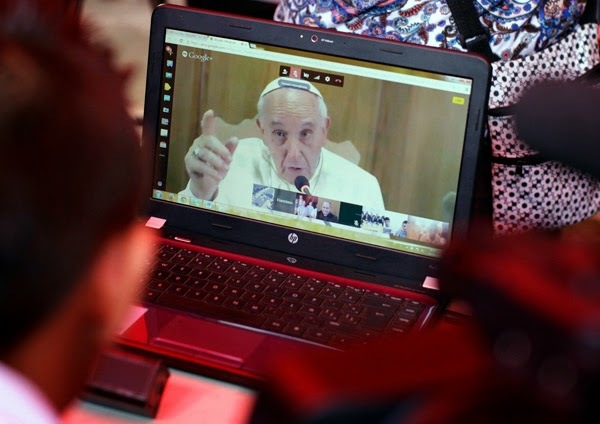 The announcement, which the Catholic faithfuls in Kerala have been awaiting for long, took place at St. Peters’ Square vatican in a meeting attended by the Cardinals. Fr Chavara was declared Servant of God in 1984 and as Blessed in 1986. Sr Euphrasia was declared Servant of God in 2002 and as Blessed in 2006. Born to Kuriakose Chavara and Mariam Thoppil of Kainakary, Alappuzha in 1805, he joined seminary at the age of 13. He was ordained a priest in 1829. Fr Chavara was a social reformer who strived to educate people of lower strata of the society, especially women. It was Fr Chavara who conceived the idea “A school attached to every church” which helped to make free education available for everyone. This initiative gave schools in Kerala a pseudonym ‘pallikkudam’. 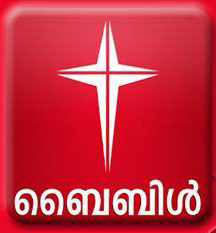 Fr Chavara who founded a press at Mannanam for publishing religious books later set up Deepika daily (formerly ‘Nazrani Deepika). He also wrote books, both prose and verse, for the benefit of the faithful. In 1861, he was appointed the vicar general of the Syro Malabar Church. He also started a sanskrit school in Arpookkara for the Church and a destitute home at Kainakari. He died at Koonammavu near Ernakulam in 1871. In 1866, with the co-operation of Fr Leopold Beccaro OCD, Fr Chavara started the Congregation of the Mother of Carmel (CMC) for women, the first indigenous catholic congregation of women in India. Sister Euphrasia alias Rose was born to Eluvathinkal Cherpukaran Antony and Kunjethi in 1877 at Kattoor in Thrissur district. Notwithstanding the strong opposition of her father, who wanted her to marry into a rich family, Rose desired the life of a nun. Her intense prayer life, which included the rosary, fasting and abstinence, as well as the sudden death of her younger sister, brought about a change of heart in her father, who finally granted permission to enter the convent. She became a postulant and took the name Sr Euphrasia of the Sacred Heart of Jesus. In 1900 Sr Euphrasia made her perpetual vows. From 1904 to 1913, Sr Euphrasia was entrusted with the duty of novice mistress. Though Sr Euphrasia wanted to live a reclusive life, she was chosen as Superior of the Convent of St Mary at Ollur. She held the post from 1913 to 1916. Sr Euphrasia died in 1952.